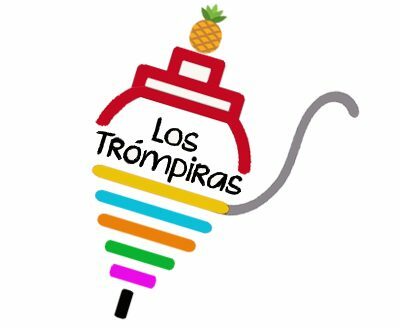 Los Trómpiras were born out of a great passion for the Mexican gastronomy by three friends who live in Berlin. Two Mexicans and a Peruvian with extensive experience in the gastronomy scene. In addition to a strong need (and craving) to recreate the authentic taste and essence of mexican dishes. The “tacos al pastor” is a Mexican food icon that is very difficult to find with its original presentation and taste outside Mexico … until now. Our mission is to present this dish, the “tacos al pastor”, in the most authentic and delicious way possible in Berlin, Germany. For which we had the task to prepare the perfect recipe, that after many attempts and tests we finally found it. Then we decided that an important part of the taste and essence of good “tacos al pastor” depends on the fact of being grilled in its original way, with the typical “trompo” (vertical grill). This makes the difference, because they do not taste the same as preparing them on a simply plane grill. So here we are, bringing from Mexico the authentic “tacos al pastor en trompo”, as it should be. We hope that our tacos are tasted not only by mexicans, but also by the German and cosmopolitan community of Berlin.